I just received a letter from the IRS, what should I do? If you’ve received a letter from the IRS, the best thing to do is contact an experienced tax attorney like Greg Okwuosah as soon as possible. Greg can review your letter, discuss your best options, and help you take the appropriate action. The IRS sends out a variety of different types of letters. 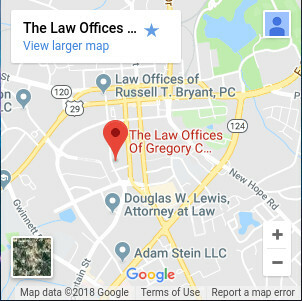 By contacting Atlanta tax lawyer Greg Okwuosah, you can ensure that you will take the right course of action for the type of letter you received. Furthermore, if you’ve been getting frequent letters or calls from the IRS, Greg can get the IRS off your back by speaking and negotiating with them on your behalf. Why shouldn’t my CPA, enrolled agent, or tax return preparer help me resolve my tax questions or issues with the IRS? It’s important to work with an experienced tax attorney to resolve any issues or questions you may have regarding the IRS. When you consult an attorney for legal or tax advice, you can benefit from the all too important attorney-client privilege. This means that the related conversations you had with your attorney will remain confidential as your attorney is legally exempt from being forced to testify against you in court or having to repeat what you said to him or her to the IRS or another agency. However, if you were to work with a CPA, enrolled agent, or tax return preparer, the attorney-client privilege would not apply, and he or she can be required to testify against you, either in court, before the IRS, or both, if you’re criminally prosecuted. In fact, the IRS frequently contacts the taxpayer’s accountant if it suspects tax fraud is occurring, and can require the accountant to testify against his or her own client, if the client is criminally prosecuted! This is the main benefit to working with an attorney. Furthermore, an attorney can provide you with much needed legal advice and guidance. Atlanta tax lawyer Greg Okwuosah will negotiate with the IRS on your behalf, and look for loopholes in the law that would benefit your case. In addition, U.S. tax law is very complicated and is constantly changing. Greg stays on top of the changing laws, and can interpret the new tax laws as they are passed in order to successfully defend you against the IRS or other agencies. I haven’t filed tax returns for one or more years, should I file my old tax returns? If you haven’t filed your tax returns, you must do so as soon as possible. You’re probably scared that you will get in trouble with the IRS. However, if you don’t file your tax returns and the IRS finds out about it, you will be in even more trouble. Failure to file your tax return is a criminal offense in this country. In addition, the IRS may begin garnishing your wages, or levying your bank accounts and other assets. 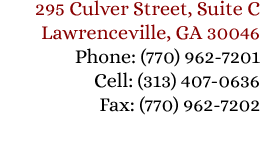 If you haven’t filed your tax return, Atlanta tax lawyer Greg Okwuosah can help you take the next step. Greg can review your case, help you determine the tax documents you need, and file those documents in a timely manner. Greg is committed to protecting your best interest, and bringing you back into compliance so you will avoid penalties and high interest. I don’t have any money to pay the IRS, is my case hopeless? Even if you don’t have enough money to pay the IRS, it’s important that you don’t ignore the situation. There are still a number of options available to you so you can get back in compliance with the IRS. Atlanta tax attorney Greg Okwuosah can negotiate with the IRS to come up with a practical solution for your unique circumstances. Greg can help you set up a monthly installment plan, or file for an offer in compromise (OIC), which would reduce the amount of taxes you owe. When you contact attorney Greg Okwuosah, he will review your situation and help you come up with a plan that suits your specific needs. For how long can the IRS pursue me for the tax debt that I owe? Generally, the IRS has 10 years from the date of assessment (usually shortly after you file your returns) to collect the tax debt that you owe. If you never filed a tax return, the IRS may assess and collect the tax at any time. In other words, the date for collecting the tax will not start to run, even if the IRS creates a substitute return (SFR) for you and uses it to assess the tax it determined that you owe. The best way to protect yourself in this situation is to contact an experienced tax lawyer. Attorney Greg Okwuosah can review your specific situation and help you take appropriate action to avoid criminal prosecution, penalties, or high interest. Technically, you can lose your home or property if you don’t pay your taxes. The IRS is required by the United States tax laws to collect unpaid tax debt. If you didn’t pay your taxes, the IRS will most definitely try to take your house and property. In order to collect the debt that it’s owed, the IRS will use several powerful enforcement tools to seize and sell your property and the right you have to own property. However, since the IRS Restructuring and Reform Act of 1998, it’s very rare when the IRS actually seizes a debtor’s home or property. Usually, the IRS is just trying to scare or threaten you into repaying your debt. Attorney Greg Okwuosah can protect you against these threats and help you take the appropriate steps to get back in compliance with the IRS. If I disagree with the tax or penalties that the IRS or other taxing authorities determine that I owe, can I appeal their determination? Yes. Under the U.S. tax system you can appeal a tax or penalty that the IRS assesses you. However, although there are many advantages to filing an appeal, there are also some disadvantages to appealing a tax or penalty. To protect your best interest in appealing these matters it’s important to consult an experienced Atlanta tax lawyer like Greg Okwuosah as soon as possible. If I’m contacted by an IRS Criminal Investigation Division (CID) agent, what should I do? If you’ve been contacted by an IRS CID agent, it’s important to contact a tax attorney immediately. At this point, the IRS has already begun a criminal investigation against you. The agent may try to trick you by saying the IRS is conducting an audit, when in actuality it’s investigating you for tax crimes, such as fraud. The most important thing you can do is remain silent. Do not speak to your friends, family, accountant, tax preparer, or anyone else, as these people can be subpoenaed to testify against you. The best thing to do is to remain silent until you can speak with attorney Greg Okwuosah. The IRS has garnished my wage, is there anything I can do? If the IRS is garnishing your wages, there are steps you can take. The first step is to contact Atlanta tax lawyer Greg Okwuosah. The IRS is going to try and garnish your wages until you’ve paid back your tax debt in full. However, Greg can help you take the appropriate action to prevent the IRS from continuing to garnish your wages. Greg will help you reach an agreement with IRS, such as by means of an offer in compromise (OIC) or a monthly repayment plan. It’s important to contact Greg about these matters as soon as possible, as wage garnishment will significantly lower your monthly income and cause you increased stress and financial hardship. Does my business need to file a “Sales and Use” tax? In general, most businesses that sell tangible goods or services are required to file a “sales and use” tax. This includes businesses that sell clothes, furniture, antiques, gifts, and other tangible items. In addition, businesses that provide services and/or labor that produce tangible goods are also required to file this type of tax. Service or labor alone, that does not produce a tangible good, is not subject to this tax. However, tax law is not always this cut-and-dry, as there are many exceptions to the law. The best way to know if you are required to file a “sales and use” tax is to consult attorney Greg Okwuosah. Greg can review your business and help you determine whether or not you are required to file this type of tax, and can help your business file it. Why do I need to plan for forming my business and for what would happen to it without me? If you are a business owner, it’s in your best interest to consult attorney Greg Okwuosah to help you plan and choose the best form of business entity for your particular situation, so as to take maximum advantage of the tax benefits that are provided by the tax laws, and to set up an asset protection plan. If you don’t protect your assets, everything you own could be at risk because you can be sued at anytime and for any amount. Greg can help you create a Family Limited Partnership (FLP) to protect your assets. He can also help you establish a corporation or limited liability company (LLC) as a platform to operate your business. By taking these steps, you can protect your business from being the target of a lawsuit or judgment. Creating an estate plan is a great way for you to protect and provide for your family in the event of an unexpected accident, illness, or death. By working with attorney Greg Okwuosah to create an estate plan, you can ensure that your assets, property, and money will be divided and distributed the way you please. Your estate plan will provide specific instructions as to how you want your assets and property to be divided and allocated amongst your beneficiaries. In creating this plan, by the use of some combination of a will, trusts, and other wealth transfer instruments, your family will avoid the hassle, cost, and time of probate court after you’ve passed. However, estate planning can be highly complex. Greg will work with you to identity your specific objectives, and help you create a customized estate plan that best suits your specific needs.